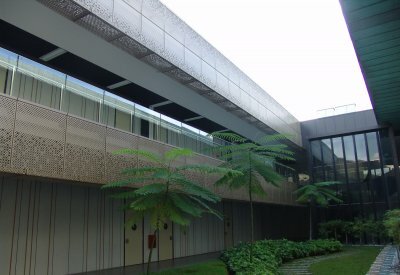 The original Temasek Culinary Academy (TCA) was completed in 2007 helped by a major renovation of a existing building previously designed for other uses. The new A&A unveils a new extension to the current TCA. New facilities such as skills kitchens, classrooms and administrative space are added to the existing building. The new 3-storey extension runs along the long side of the existing TCA building separated by a 8m courtyard. 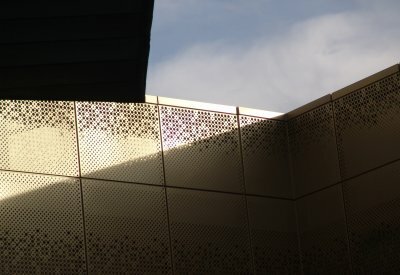 The courtyard only allows more light into the centre of the building; and acts a buffer during construction such that less of the existing building is affected by adjacent works. The new aluminum and steel feature linkway presents a unified façade to the visitor approaching by vehicle. Expecting to receive professional users and restaurant patrons, the new frontage is inviting, expressive and warm with a pronounced drop-off.